The parents and Guardians Association of Milos’ Primary School presented a performance of Greek traditional Dances. Ο Πολιτιστικός Σύλλογος Μηλίων Τέχνες διοργάνωσε Συναυλία με τον Μπάμπη Στόκα! The Sports Club of Milos organized an event-speech open to the public free of charge, in order to make it possible for everybody to get information on the importance of a bone marrow donation. The Company IMERYS S.A. organized the ceremony to commend the award with the title “VOLUNTEERISM & SOCIAL CONTRIBUTION AWARD” as well as the award of the “Scholarship in the memory of A. Antoniadou”. This event had an audience of 120 persons in the main conference hall and in the adjacent conference room. 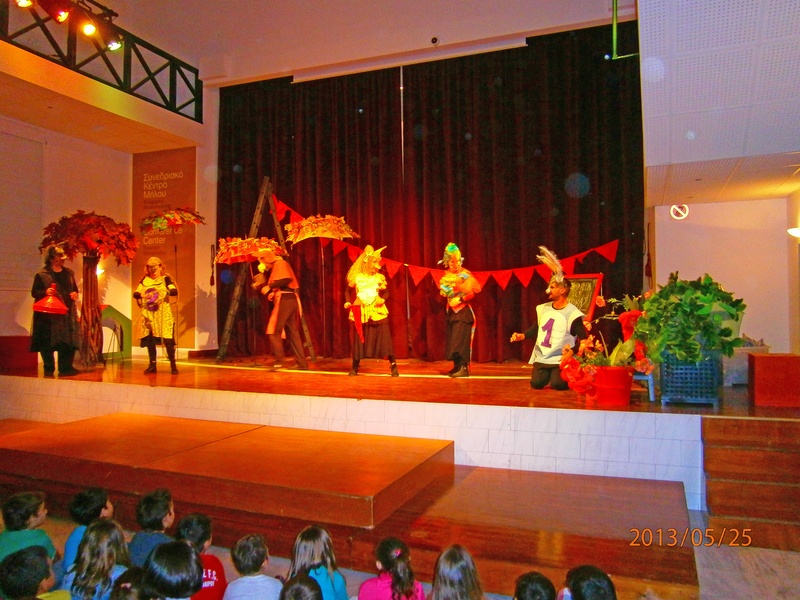 The parents and Guardians Association of Milos’ Primary School staged a performance of puppet theater. Successful movies from the international film industry of the last 25 years will be shown at the Milos Conference Center from December 2017 through to January 2018. Click here for more details on the program. Music performances under the auspices of the Experimental Stage of Milos. Ioannis Panagiotou is director and teacher at the Primary School of Adamas on Milos Island. An event was held in honor of the President of the Hellenic Republic Mr. Prokopis Pavlopoulos who was awarded the status of Honorary Citizenship by the Municipality of Milos Island. A Concert featuring the Choir of the Greek Channel ERT TV Music Ensembles was held. 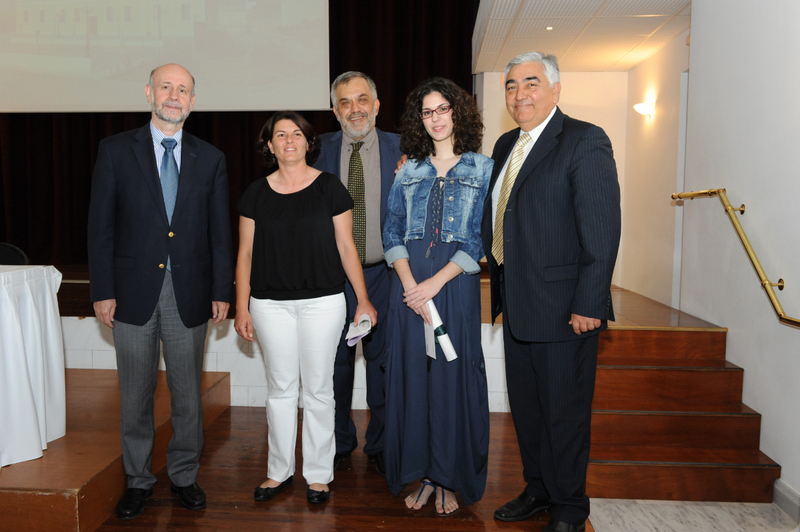 IMERYS S.A. organized an awards event bestowing scholarships in the memory of ” ANASTASIA ANTONIADOU” as well as prizes for volunteering and social contribution. The parents and Guardians Association of Milos Primary School organized a Dance Night with Traditional Dances. 2nd International Conference on “Ports, Sea Transports and Insularity: Environment, Innovation, Entrepreneurship”. The Congress was organized under the auspices of the Milos Municipality. The Milos Music School ” Cultural Association MILION ARTS” organized a Concert with singer Dimitris Bassis. Information event on the subject of ” The Flora of Milos”. In the large courtyard of Milos Conference Center a concert will be held featuring Eleonora Zouganeli. The event is organized by the Municipality in the context of Milos Festival. Annual Conference of the Greek Section of the National Healthy Cities Network (EDDYPPY). A performance with Greek folk dances took place at the Milos Conference Center “George Eliopoulos”, organized by the Greek Athletic Association named “Ierax”. 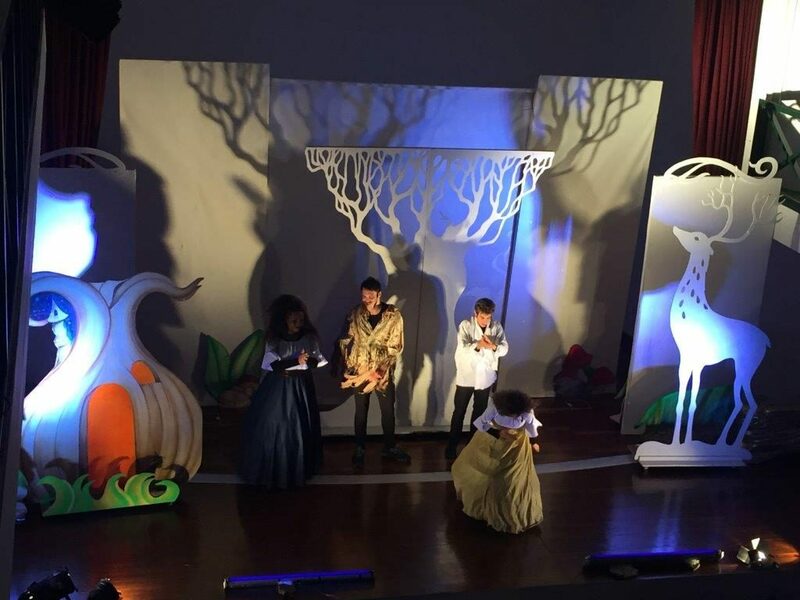 A theatrical performance with a troupe of young actors from the ranks of Milos primary School pupils of Pollonia village took place at the Milos Conference Center “George Eliopoulos”. English language Examinations were held by the Hellenic American Union for the pupils of Milos Schools. 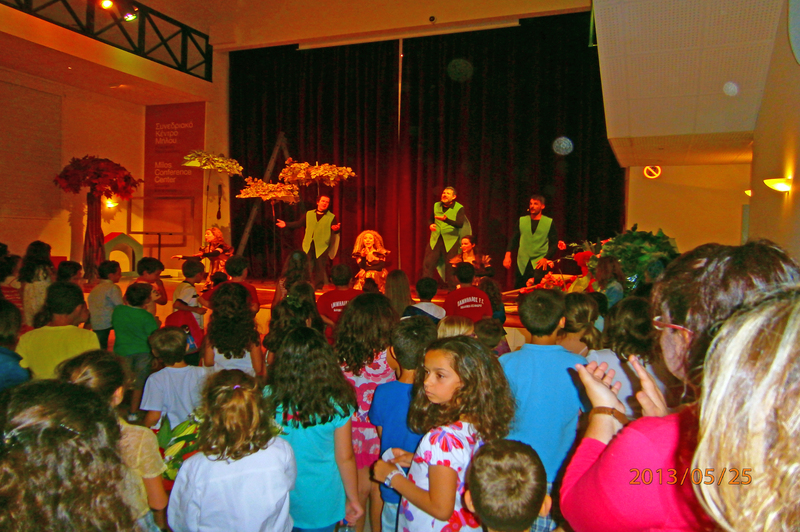 Theatrical performances for children staged by the Milos Association for Development & Modernization were held at the Milos Conference Center “George Eliopoulos”. 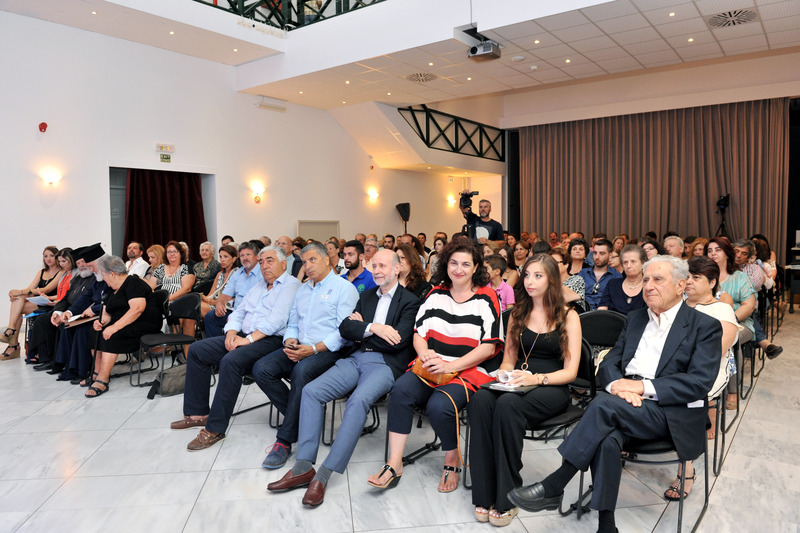 The General Lyceum of Milos organized a musical event dedicated to the memory of late composer Manos Chatzidakis in front of an audience of 380 attendees. The Lifeguard & Rescue Volunteers Team of Milos Island organized an educational program in first aid and medical assistance for the team members in the A2 conference hall of the Milos Conference Center. A group of 30 persons attended these meetings. The Parents & Guardians Association of Milos Primary School organized a performance featuring Greek folk dances in front of a life audience of 450 persons. In the Milos Conference Center took place performance with subject “Premiera kai fygame”. The performance watched 60 attendees. The Municipality of Milos organized a meeting of 30 mayors of Greek cities that will take place in the Mavrommatis building. The event was attended by 30 people. The General Milos Athletic Association organized a lecture on the theme of “General Principles pediatrics, child psychology and nutrition” in A1 conference hall . In the ” Milos Conference Center the ” European Bentonite Association ” “EUBA” organized the Conference in the Mavrommatis building. The event was attended by 26 people. Lessons on football arbitration took place under the supervision of the General Milos Athletic Association in B2 conference hall. The company Original Senses S.A. organized a meeting event with investors in B1 conference hall with 30 participants. Projection of cartoons in the covered courtyard of Milos Conference Center. This event was organized by the “ Development Μodernizing Association of Milos “ (A.E.S.M.) was watched by a public of 550 attendees. As part of the 22nd Festival of Milos at the “Conference Center of Milos” The theatrical Workshop of Milos presented the comedy entitled : “Avlaia kai Pame” (English play title: «Play On!») by Rick Abbott., directed by Sofia Mantzakou. Τangles, hilarious situations, clever humor. Organized by the Theatrical Workshop of Milos. In the ” Milos Conference Center ” the Company ” IMERYS ” organized the Event ” Award Volunteerism and Scholarship in the memory of Anastasia Antoniadou “. A reception followed. The event was attended by 170 people. The “Hyperions”, the band that has the auspices of the ” Group of Friends of the Mountain and Sea” traveled us on an explosive musical journey. With them : Georgia Cheilopoulou, Dimitrios Mallis, Luka Melis and Mano Adrover-Padro. Eleni Tsaligopoulou were with us into a night full of musical surprises in a special concert interpreting timeless songs. In the “Milos Conference Center” the ” The Women Association of Milos ” organized the Music event under the title ” Open Susame “. The event was attended by 120 people. As part of the 22nd Festival of Milos the “Conference Center of Milos” hosted a Rock Concert with the Underground Streams. Organized by Cultural Association “Arts from Milos”. In the “Milos Conference Center” the Company ” IMERYS ” organized a meeting about the Health and Safety of its staff. The event was attended by 75 people. As part of the 22nd Festival of Milos at the “Conference Center of Milos” presented a theater performance of Children with the title: “Meidiaste Parakalo“ (in English “Smile Please” . A successful comedy of Dimitris Giannoukakis that the 50s played by B. Logothetidi, I. Libikou and Sm. Stefanidou and was taken to the cinema by C. Dalianidis, starring K. Chatzichristou. Smart humor, tangles, comical situations with a plenty of laughter. Direction, costumes and music editing by C. Frantzeskakis. Organized by the Parents’ Association of the Milos Gymnasium. As part of the 22nd Festival of Milos a Children’s theater presented a performance entitled : “The Mermaid and the Thalassaki” will take place at the “Conference Center of Milos”. Organized by the Parents’ Association of Triovasalos Elementary School. As part of the 22nd Festival of Milos in the “Conference Center of Milos” hosted a folk music event dedicated to Eftychia Papagiannopoulou. Organized by LE.MO.M. LE.MO.M., best known as an organizer of cultural events of quality in recent years, continues to organize musical tributes to remarkable artists. This time, the scene of Milos Conference Center was enlivened by singer Eftychia Papagiannopoulou. In the “Conference Center of Milos” held the Annual Performance of the Faculty Dance of Georgias. The performance was attended by 230 people. In the “Conference Center of Milos” held the Music Show with Folk dances, which organized by the Association of Parents of Elementary School Adamas. The performance was attended by 150 people. In the “Conference Center of Milos” hosted a concert with Marios Fragkoulis, which organized by the Company ” IMERYS ” The concert was attended 700 people. As part of the 22nd Festival of Milos the “Conference Center of Milos” hosted a concert with Psarantonis, which organized by the Cultural Committee of Milos Municipality. A special form of Cretan music, a voice with a particular connotation, an artist with a personal style in playing the lyre and other traditional instruments, recognized throughout the world, in a special concert! In the ” Milos Conference Center ” the ” Hellenic American Union ” organized Examinations for the Language for the children of the Island. Participated 50 children. In the ” Milos Conference Center ” the ” Hellenic American Union ” organized Examinations for the Language for the children of the Island. Participated 15 children. In the “Milos Conference Center” the Company ” IMERYS ” held a Briefing of the Parents of B’ class the High School of Milos with subject ” VocationalGuidance “. The event was attended by 20 children. In the “Milos Conference Center” the theatrical play entitled: “The Scarecrow’s Dream” was performed . The event was attended by 65 people. In the “Milos Conference Center” a Traditional Music Performance was organized by the Parents’ Association of the Milos Gymnasium. In the “Milos Conference Center” the Company ” IMERYS ” organized a meeting about the Health and Safety of its staff. The event was attended by 15 people. At the “Milos Conference Center” the theatrical play entitled: “The Scarecrow’s Dream” was performed . The event was attended by 60 people. At the “Milos Conference Center” theoretical courses on the theme “pruning vines” were presented by “S&B Industrial Minerals S.A.” with speaker Ms. Spynthiropoulou. The event was attended by 40 people. At the “Milos Conference Center” the theatrical play entitled: “The Scarecrow’s Dream” was performed . At the “Milos Conference Center” the musical show “Homage to poet C.P. Kavafy” was performed by the students of Milos Gymnasium. At the “Milos Conference Center” the Company “ISOMAT S.A.” presented its products to the business community of Milos. The event was attended by 38 people. At the “Milos Conference Center” the Theatrical Workshop of Milos staged the performance with title: “ The Scarecrow’s Dream”. The event was attended by 180 people. The celebrations of the 80 anniversary of the company “S&B Industrial Minerals S.A.” at the Milos Conference Center “George Eliopoulos”. The first “ European Rare Earth Resources 2014” (ERES 2014) held from 4 to 7 September 2014 on the island of Milos. This conference will deal with topics such as REE importance for Europe (supply and demand issues), European perspective for a REE industry, REE exploitation policy issues, REE occurrences in Europe, REE processing (advances, new technologies, future outlook), REE urban mining/recycling and environmental impacts (gains and losses through REE utilisation and extraction). 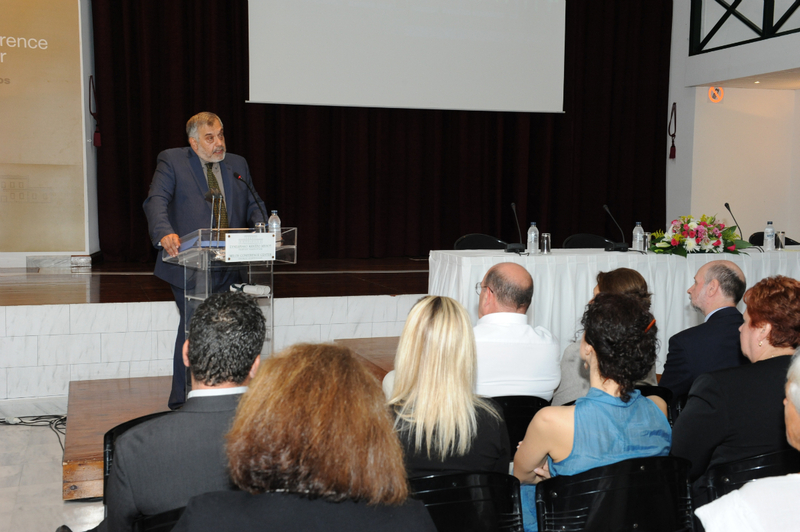 From the 13th to the 17th July 2014 a Conference on Economics was held at the Milos Conference Center “George Eliopoulos” under the scientific coordination of Prof. Nicolas Vetas. Christian age catacombs. On the occasion of these celebrations the 3rd Scientific One-day Conference took place on that same day at the Milos Conference Center “George Eliopoulos”. Traditional Dancing and Music event organized by the Parents & Custodians Association of Milos Primary School. Presentation of a book on the occupation of Milos by German troops during World War II. Dancing performance presented by the Milos Dancing School. Kids entertainment event with magicians. 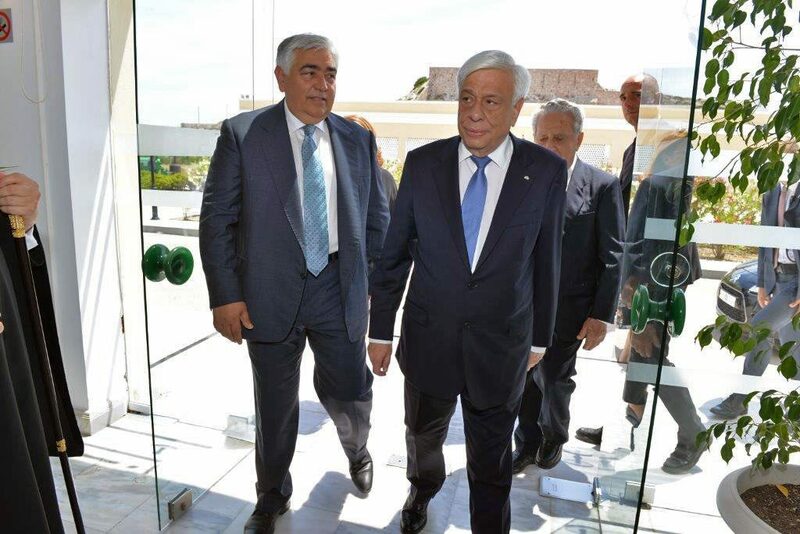 On the 14th of June 2014 the inauguration of the new Library of Milos Conference Center “George Eliopoulos” that opened its doors to the public took place. Representatives of the Holy Clergy performed the ceremony of the blessing of this new institution with holy water that was followed by local authorities and a huge number of attendees, among which the Mayor of Milos, Mr. Gerassimos Damoulakis who delivered a worthy speech. It is worth mentioning that the professors and teachers of Milos schools attended in high numbers, as well as directors and executives of S&B Mining company, whose financial backing was instrumental in at the stage of the creation project and during the organization of this Library. The main focus of interest of the Library is the extensive amount of its books dealing with the island of Milos. It contains books on a wide variety of subjects but mainly on geology and mines, encompassing book titles on mining history and mineralogy, as well as on the folklore, culture and the local press of Milos island. Our ambition is to turn this Library into a space for thought and learning accessible to each inhabitant of the island. Especially we truly hope that it will become a pole of attraction for a public in search of knowledge, for professors, teachers, students and school pupils and more broadly for the young people of Milos island. To this effect a copy of the book catalogue has been communicated to the Mayor’ Office and to the Directors of Milos Schools so that searchers and students can easily get access to any information related to the existence and availability of the book they are looking for. at the Milos Conference Center. under the auspices of the Municipality of Milos. S&B Industrial Minerals S.A. was major sponsor. The performance was attended by 320 people approx. The 6th International Sustainable Development in the Minerals Industry (SDIMI) Conference 2013 was organized at the Milos Conference Center – George Eliopoulos, between June 30th-July 3rd 2013, with the participation of 190 scientists and academia as well as industry representatives from 29 countries, and S&B Industrial Minerals as major sponsor. Main objective of this series of conferences is to assist the global minerals industries in their transition to sustainable development. The 1st SDIMI Conference had also taken place in Milos in 2003. On that occasion, the “Milos Declaration” was adopted , a statement of contribution to a sustainable future through the use of scientific, technical, educational, and research skills and knowledge in minerals extraction and utilization that was endorsed by the leading global professional and scientific organizations and institutes representing the minerals professional. The conclusions/results of the 6th SDIMI Conference will be base of a reviewed Milos Declaration, which will be published at SDIMI’s official webpage www.sdimi.org. – 17 Αpril 2013 Conference entitled “Tourism in Greece: Today & Tomorrow”, organized by Milos Mining Museum & S&B Industrial Minerals S.A.
–20 April 2013 Dance Event of the Milos Association of Parents & Guardians organized by Milos Primary School. –27 Αpril 2013 One-day Conference on the theme “Cats” (Lectures by veterinarians), organized by Milos Municipality and the “Greek Feline Association” (ELOURI). – 11 – 12 Μay 2013 Theatrical Performance organized by S&B Industrial Minerals S.A.
–18 Μay 2013 Awards ceremony honoring the winners of Volunteer Awards & Scholarships in Memoriam of Anastasia Antoniadis, organized by S&B Industrial Minerals S.A.
– 25 May 2013 Theatrical Performance organized by the Association of Parents & Guardians of Milos Primary School pupils. – 7 – 15 Ιουνίου 2013 Painting Exhibition, organized by Milos Secondary School. 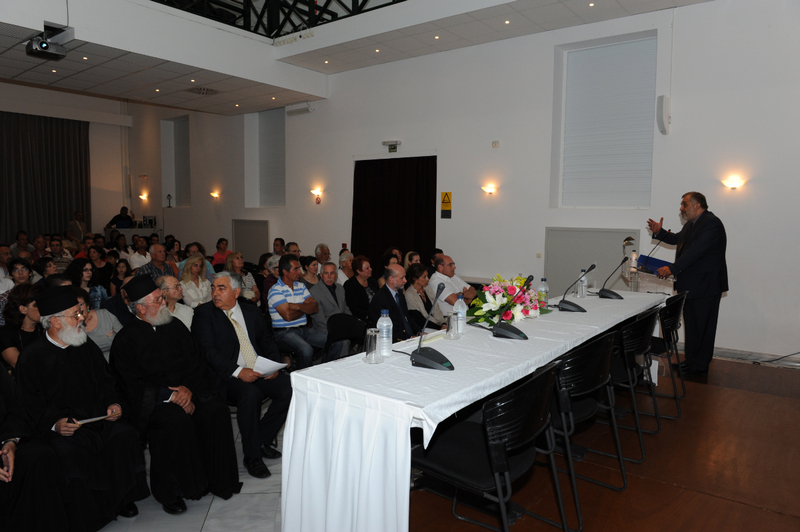 –27 jUNE 2013 One-day conference on the theme “Safe Driving”, organized by the Municipality of Milos. – 27 July 2013 Wedding Ceremony, organized by Milos Conference Center. – from 5 to 9 Αugust 2013 Films for children with animated cartoons, organized by the Association for the Development and Modernization of Milos Island (AESM). –11 Αugust 2013 Music Event, organized by the Motorcyclists’ Association of Milos Island (LEMOMI). –20 August 2013 Μusic Event organized by the Association of “Friends of the Mountains & Sea of Milos”. – from 7 to 8 Οctober 2013 Ι.Μ.Α. Workshop, organized by S&B Industrial Minerals S.A.
– 9 Νovember 2013 One-day Visit of the Chinese Ambassador to Greece to celebrate “China and Greece” – cooperation relationships and friendship ties between both countries, organized by S&B Industrial Minerals S.A. In 2002 S&B Industrial Minerals S.Α. (S&Β) established two annual institutions: the Scholarship and the Volunteerism & Social Service Award in the memory of Anastassia Antoniadou, a prematurely lost Company professional in Milos with a strong volunteer and social activity. 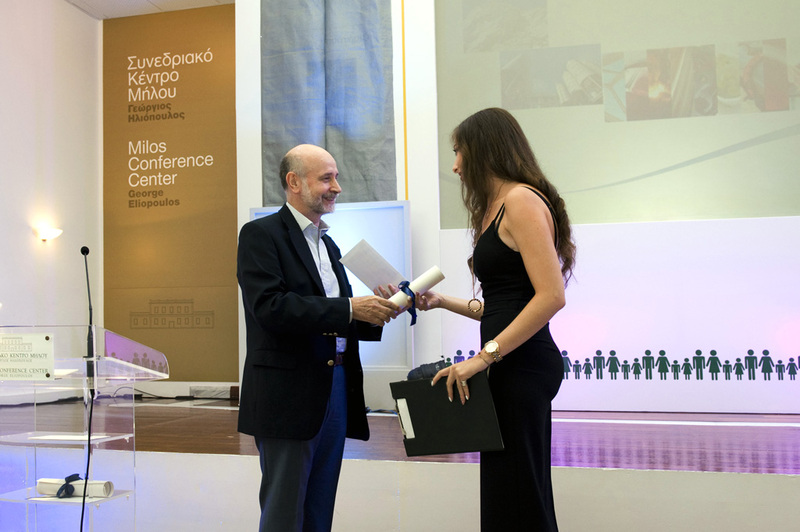 The scholarship is granted every year to a secondary education female graduate from Milos and Kimolos, throughout her university studies, whereas the Volunteerism Award is given to a resident or a company’s employee on Milos in recognition for his/her volunteer social work to the island’s community. 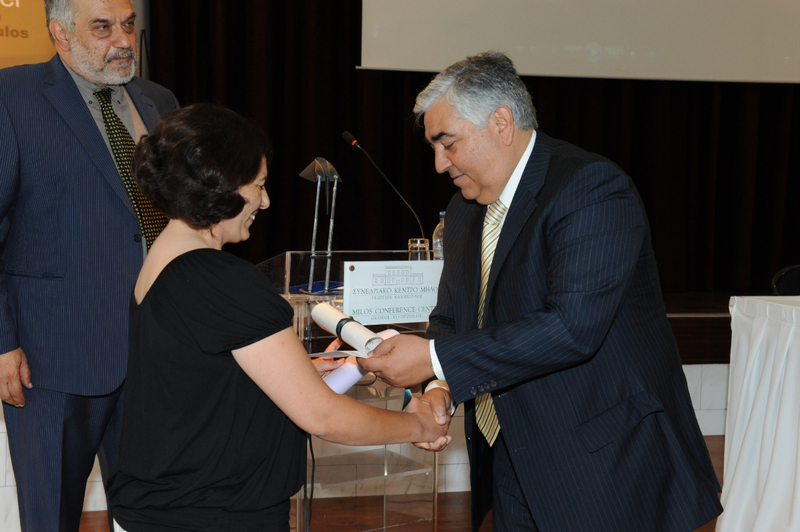 The 2012 annual Award Ceremony of the aforementioned institutions was held on Saturday, May 19 2013, in a special event at the Milos Conference Center – George Eliopoulos. 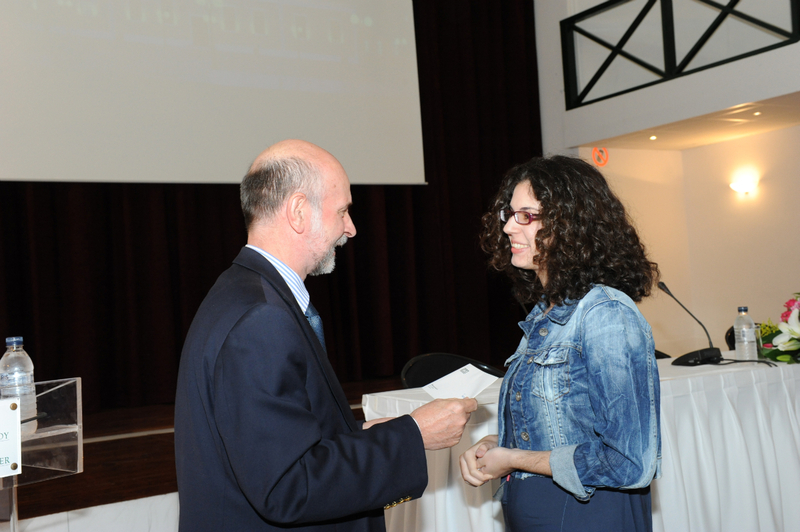 •The Scholarship Candidacies Evaluating Committee, chaired by the Mayor of Milos Gerassimos Damoulakis, decided that the scholarship be awarded to Myrto E. Trapatseli, student at the Geology and Geo-environment Dept. of the Athens National University. •The Volunteerism Award Candidacies Evaluating Committee, also chaired by the Mayor of Milos, decided that the Award be given to Sophia D. Psatha for her overall volunteer activity within the framework of the Milos Volunteers Team. The Volunteerism Award was presented to Sophia Psatha by the Mayor of Milos, while the Scholarship was presented to Myrto Trapatseli by the General Manager of S&B’s South Europe Region, Mr. Athanassios Kefalas. The first speech at the Award Ceremony was given by Spyros Tzintzos, S&B Milos Operations Manager, who referred to the work and the ideas of Anastassia Antoniadou. 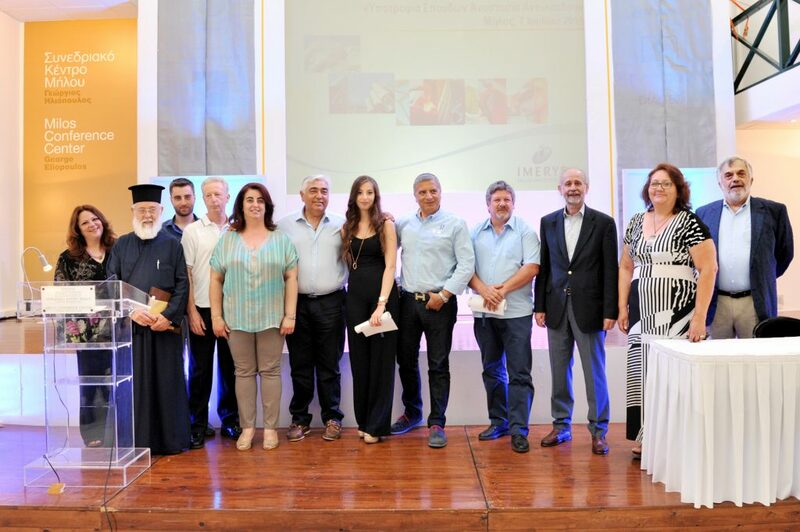 The ceremony was attended by representatives of the Church, the Municipality of Milos, the island’s educational community and cultural associations. From S&B, besides Mr. Tzintzos and Mr. Kefalas, present was also Mr. Dimitris Margaritis (representing Anastassia Antoniadou family). S&B’s chairman, Mr. Ulysses Kyriacopoulos, and his wife also honored the event. A reception followed at the Euripides Mavrommatis wing of the George Eliopoulos-Milos Conference Center. – 5 February 2012 One-day Film Festival dedicated to the memory of deceased Greek film director, Theodoros Angelopoulos, lectures and projection of one of his movies. – 5 Μarch 2012 Concert entitled “Our Mikis”, organized by the Association of Parents and Guardians of Milos High School, which attracted 280 audiences. – 21 Απριλίου 2012 One-day Conference on the theme ”Sustainable Management of Tourist Destinations, Bio-diversity and local Communities”, organized by the University of Piraeus that was attended by an audience of 60 conferees. 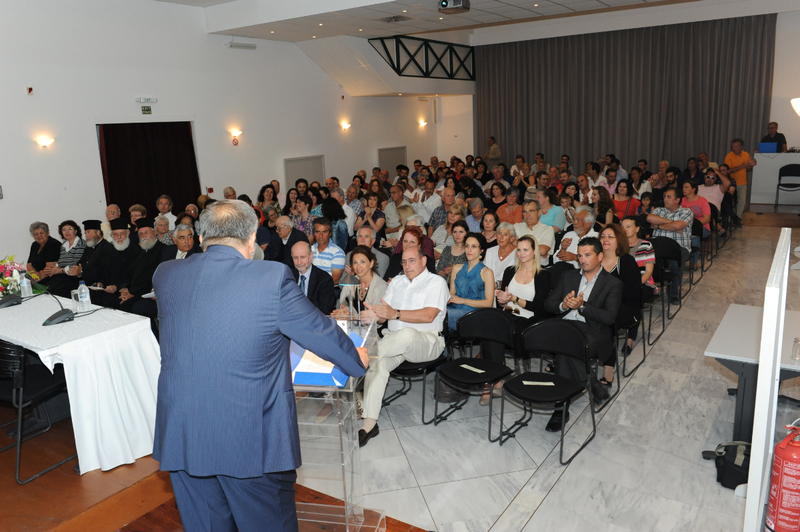 – 12 May 2012 Awards ceremony honoring the winners of Volunteer Awards & Scholarships in Memoriam of Anastasia Antoniadis, organized by S&B Industrial Minerals S.A., with a total guest attendance reaching 165 persons. 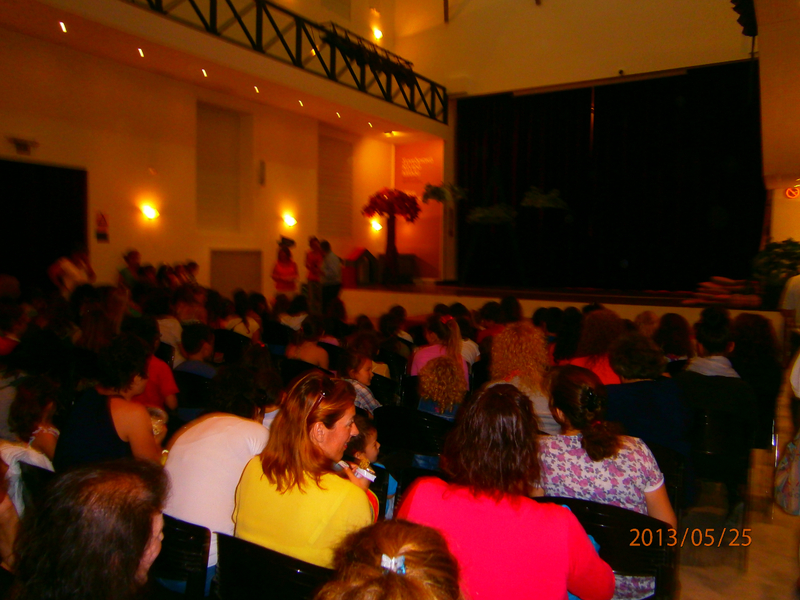 – 22 June 2012 Annual Musical Event organized by Milos Music Academy with a total audience of 230 guests. – 11 – 15 July 2012 11th Conference on Research on Economic Theory and Econometrics (CRETE 2012), organized by the Athens University of Economics & Business, with a total participation of 140 conferees. – 4 and 5 August 2012 19th Milos Festival – The band of the “Association for the Development and Modernization of Milos Island” (ΑESM) held concert performances entitled “The Dance of My Soul” attracting audiences of 370 people. (morning hours) Half-day Meeting on the Thermal Baths of Milos Island,organized by the Municipality of Milos, gathering an audience of 45 people. (Evening hours) Among the events of the Milos Festival program, a half-day musical event dedicated to the memory of late Greek lyricist and poet Nikos Gatsos, organized by the “Association of Friends of the Mountain & Sea of Milos” followed by an audience of 280 attendees. 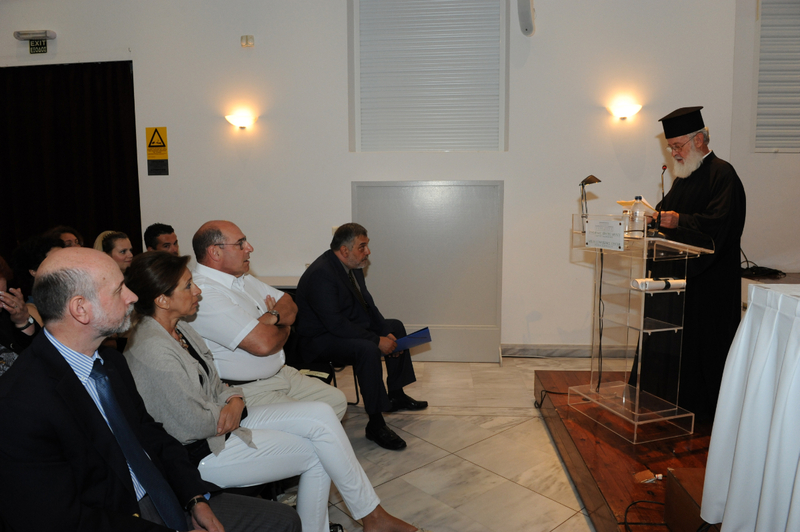 – 17 Νovember 2012 Public Presentation of the Miloterranean Program by Milos Mining Museum and S&B Industrial Minerals S.A. to an audience of 180 guests. 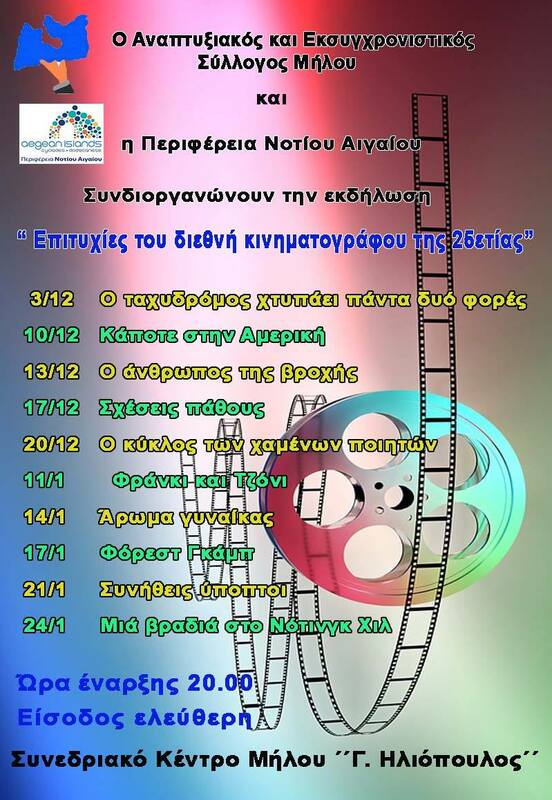 – 18, 25 Νοvember and 2 December 2012 – The class of Milos Vocational Higher Secondary School (EPAL) and Milos Lyceum organized the projection of six movies. The event was attended by 480 persons. 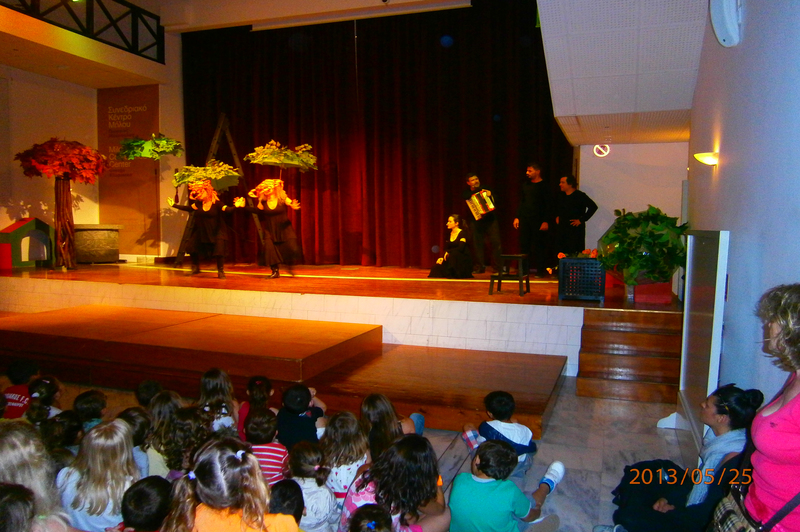 – 15 December 2012 Two theatrical Performances for children of the play “Servant of Two Masters” were organized and were attended by 460 children. – 13 Οctober 2012 until 30 Αpril 2013 (each weekend) – Drawing courses were held for children gathering an attendance of 30 pupils. – 20 December 2012 until 15 Μay 2013 (each Wednesday) Drawing courses for adults that were followed by 15 persons. -9 & 10 April 2011 Theatrical performances organized by the Association of parents & Guardians of Milos Primary School. -16,17,27 April και 20, 22 May 2011 Theatrical presentations of the play by Eugene Trivizas entitled “The War of Droppings”, organized by the “Association for the Development and Modernization of Milos Island”(AESM). -28, 29 April & 1 May 2011 One-day Conferences and Panel discussions on the theme: “Creation of a Network of Marine Protected Areas in the Cyclades”. 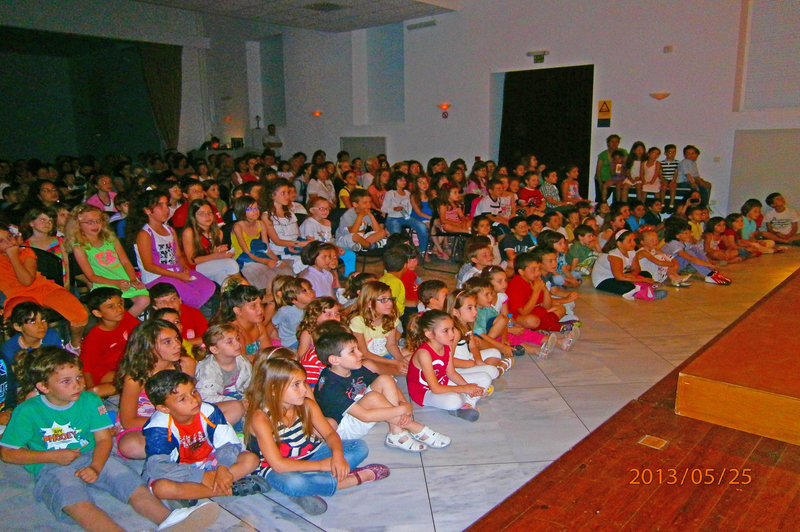 -7 May 2011 «Μusical Encounters» organized by the Secondary Schools of the islands of Milos, Serifos, Sifnos and Folegandros. 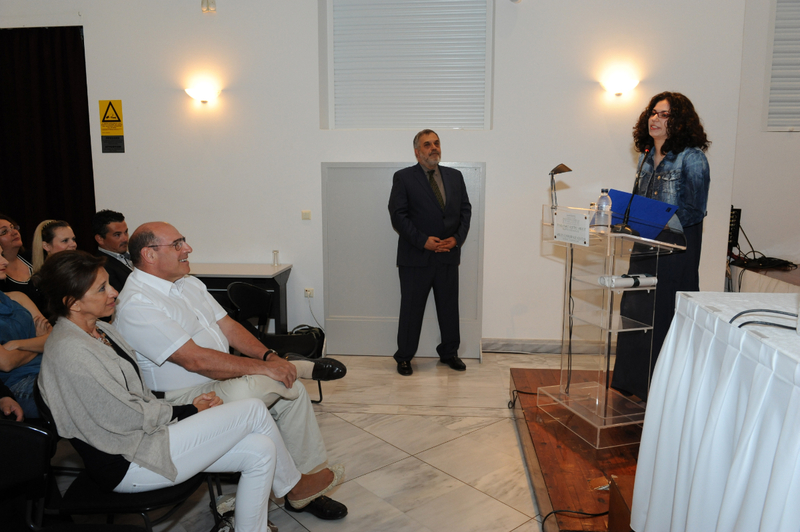 -14 May 2011 Award ceremony honoring the winners of Volunteer Awards & Scholarships in Memoriam of Anastasia Antoniadis, organized by S&B Industrial Minerals S.A.
-10 June 2011 Annual Dance performance of the Experimental Academy of Dance School of Milos. -20 έως 25 June 2011 International Conference entitled “Regional Meeting in String Theory” organized by the University of Patras..
– From 10 to 14 July 2011 International Conference entitled “Economic theory and Econometrics”, organized by the Athens University of Economics & Business. -1 August 2011 Theatrical performance of the play “The Milk” by Anna Vagena. 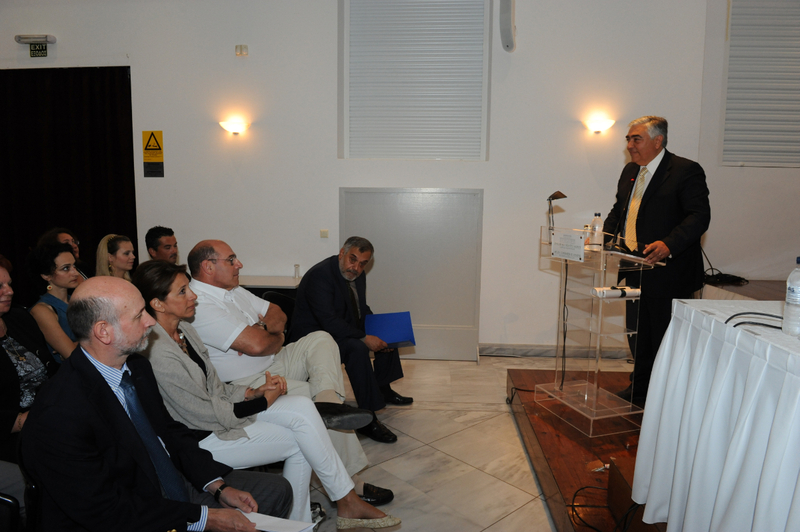 -5 August 2011 Presentation of the book entitled “The Role of the island of Kimolos during the Second World War” by the former Chief Commanding Officer of the Harbor Police Corps. -3 June 2011 One-day Conference entitled “The Obsidian of Milos”. -17 & 18 October 2011 Seminars addressing subject areas related to “Traffic Safety Education” for Secondary School students of Milos . Many other events not mentioned in this presentation were held at the Milos Conference Center throughout the year 2011, such as theatrical performances, film projections, school celebrations and other cultural events. – 14 March 2010 Presentation of the book by Sophia Yalouraki entitled “Aphrodite of Milos weeps” . – From 23 to 25 April 2010 “5th International festival of Underwater Documentary Films”. -30 Μay 2010 Concert featuring the Greek rock musicians, Lavrentis Machairitsas, Panagiotis Margaris and Katerina Arvanitidou. -16 July 2010 Concert featuring Nadia Weinberg singing Greek composers Theodorakis, Hadijdakis and others. -23 July 2010 Classical Music recital by pianist Juliana Valle. – from 1 to 3 October 2010 Conference of the “Society for Peripheral Development and Mental Health”. 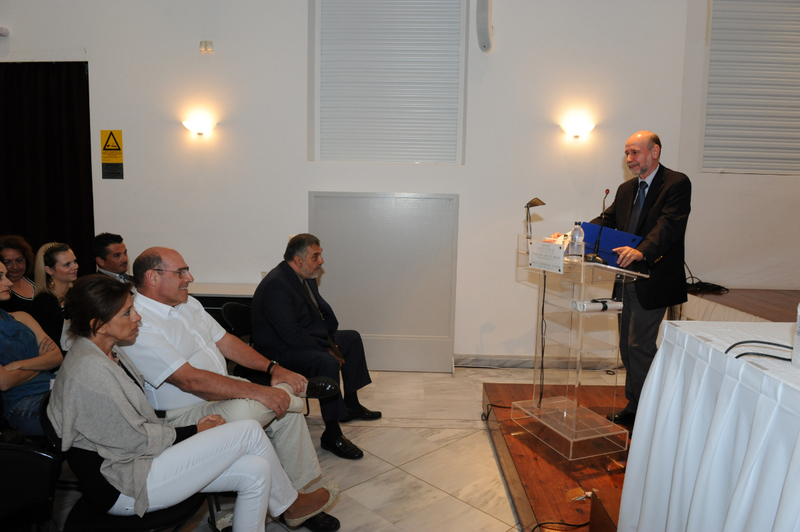 – 3 October 2010 Conference on the “Development of Tourism on Milos Island”. Many other events were held at the Milos Conference Center during the year 2011 in complement to the aforementioned events, such as theatrical performances, a ballet evening, movie projections, scientific lectures, school celebrations and other cultural events.